WINDSOR — Thirty years ago, Mary Louise Horn (now Sayles) and Judith Brogren, were putting long hours in at a nursing home in Sullivan County, New Hampshire. Sayles was an administrator and superintendent of the facility and Brogren was the director of nursing. Both were used to around 10-11 hours a day of caregiving. After months of seeing them work tirelessly in overtime, a night security guard/maintenance worker urged both women to invest in a nursing home of their own. He was a real estate agent in his spare time and, as fate would have it, eventually found two nursing homes that were on the market, one in Claremont, New Hampshire, and the other in Windsor. “He told us we were working too hard and that started the wheels turning,” said Sayles. The rest, as they say, is history. Sayles and Brogren bought one of them in Windsor, primarily because of its location and availability of land. The physical plant, which needed considerable improvements, rested on 12 acres of land on a plateau above the Connecticut River and at the base of Mt. Ascutney. The two women changed its name, invested all of their savings and ultimately lived in a trailer on the property for several years as their vision took form. They wanted to develop a community that would offer more than nursing home care. Rather, they envisioned a continuum of care for older adults who wanted to live in their own homelike space but also have the availability of support services when and if they needed it. “My mother and Judy felt that they could provide a better quality of life and more personal attention to family and residents by having a smaller nursing home and different options for senior housing care besides a nursing home,” said Sayles’s daughter Patricia Horn. “They wanted their own place to not feel like an institution and, instead, feel like a comfortable home.” At the time, Sayles was 53-years-old and Brogren was 48 which both felt would be an advantage when they sought financing for their new venture. “When we applied for a small business administrative loan at the Citibank in Claremont, the president told us we had a good track record, that we had shown success in our careers, and he wanted to see more women entrepreneurs,” said Sayles. But their dream did not come without difficulty. The first hurdle was finding enough funds to buy the property and expand the building that was already there. But at this critical time in 1988, the Valley Regional Board of Directors believed in Sayles and Brogren’s mission and provided the extra financing needed to obtain the first HUD mortgage to build the new nursing home that eventually opened in 1994. 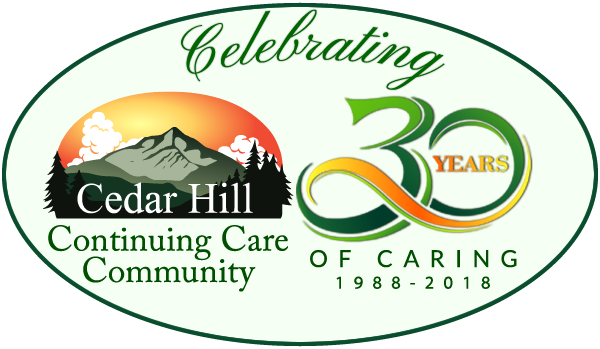 Now, Cedar Hill Continuing Care Community is one of the few senior communities to offer a continuum for care that enables residents to transition through multiple stages of life with a consistent, familiar environment. “The community offers a high-quality, holistic approach to senior living in a relaxed, friendly and homelike setting,” said Sayles, who married Jeremy W. Sayles in 2003. Cedar Hill comprises four distinct resident and lifestyle choices including independent and assisted living apartments at The Village, residential care at Victorian House, traditional nursing home care at Cedar Hill Health Care, and specialized memory care for individuals with Alzheimer’s or related dementias at the Judith Brogren Memory Care Center. In 2006, Sayles’ daughter, Patricia Horn, joined the Cedar Hill Continuing Care Community. She moved to Vermont to work onsite in December 2008 and became a licensed nursing home administrator. She has served on the board of Cedar Hill and The Village at Cedar Hill since 1996. She is currently a co-owner of the facility along with her mother. A New Hampshire native, Horn earned a B.A. degree from Boston College in 1985 and an M.S. in Journalism from Boston University, College of Communication, in 1994. She worked as a business news reporter for the Sarasota Herald-Tribune, the Fort Lauderdale Sun-Sentinel, and the Philadelphia Inquirer before joining Cedar Hill nearly 10 years ago. Before founding Cedar Hill in 1988, Sayles graduated with a bachelor of science degree in nursing in 1956 and held nursing leadership positions in hospitals and in public health throughout her career. In the early 1970s, she accepted a position as a director of nursing at a new skilled nursing facility called Edgewood Manor in Portsmouth, New Hampshire. She completed advanced studies to become a licensed nursing home administrator and remained at Edgewood Manor for several years. From 1977-1981, Sayles worked as associate manager of review for long-term care at the New Hampshire Foundation for Medical Care that had a federal contract to conduct review in all of New Hampshire’s nursing homes to assure that persons admitted needed nursing home care and to assess the quality of care being delivered. She held that position for four years until the program was defunded. Sayles accepted a nursing home administrative position in 1981 at the Strafford County Nursing Home in Dover, New Hampshire, and then at the Sullivan County Nursing Home in 1984 before founding Cedar Hill in 1988. She and her husband currently reside in Windsor and Bradenton, Florida. Horn lives in Windsor with her husband Rev. Mark Preece, the rector of St. Martin’s Episcopal Church in Fairlee. They have two children, a dog, and two cats.